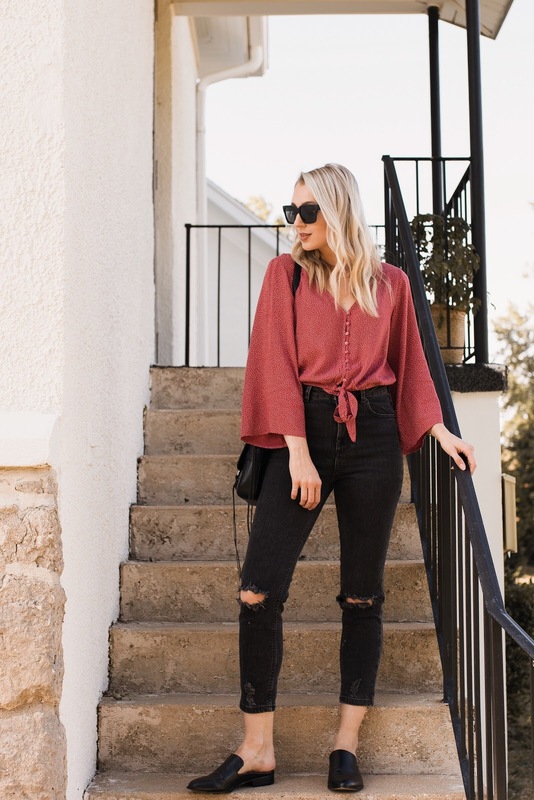 This week I realized how into red I am lately! This cracks me up because red used to be my least favorite color. Yep, literally at the very bottom of my list. Maybe it's the transition to fall, or the contrast against my blonder hair, but I just can't get enough these days! 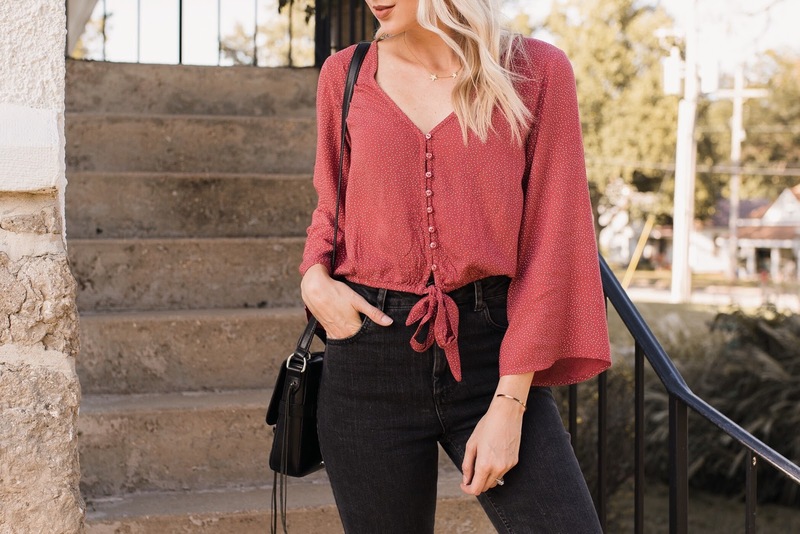 I absolutely love this little bell-sleeve top (the perfect muted red 👌), and you'll never guess where it's from! It's also on sale for 15 freaking dollars right now, which I cannot wrap my mind around. Scoop it up now! Have you by chance seen the Shopbop re-brand? I looovvve their new logo, and the look of their site. So chic. 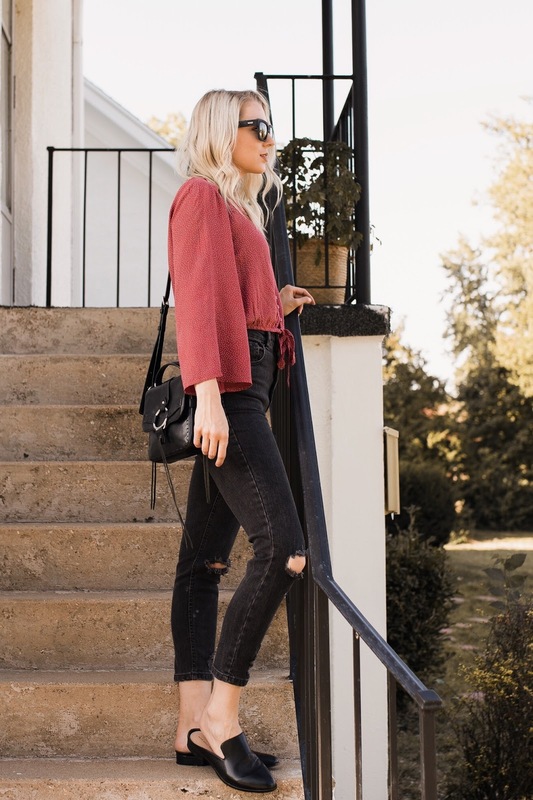 They also have an amazing promotion for their app right now... You can take 15% off full priced items on your first Shopbop purchase using the Shopbop app and code APP15!